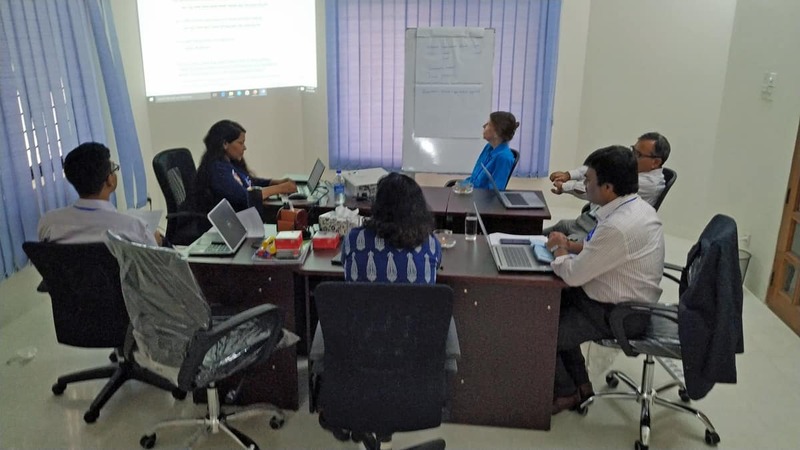 The USAID Bangladesh Monitoring, Evaluation and Learning Activity (BMEL), managed by ME&A, moved full speed ahead during its first quarter in full operation. BMEL, awarded in November 2018, has five active Tasking Requests from USAID. As of mid-March 2019, a performance evaluation team planned for travel in four districts to assess the impact of infrastructure activities. Another BMEL team is conducting an inclusive development analysis for USAID designed interview guides to learn about the needs and interests of people with disabilities and other groups. Meanwhile, BMEL third-party monitors assessed activities related to the health and agriculture sectors in Jessore and Sylhet districts. BMEL, run from ME&A’s project office in Dhaka, is a $9.4 million, five-year contract enabling USAID/Bangladesh to collect and use relevant data to achieve Mission development objectives, enhance the capacity of Mission staff members in learning and knowledge management, and enable evidence-based programmatic decision-making. Social Impact is ME&A’s subcontractor. USAID/Bangladesh awarded BMEL to ME&A under the U.S. General Services Administration Federal Supply Schedule 874, Professional Services Schedule (PSS/MOBIS).